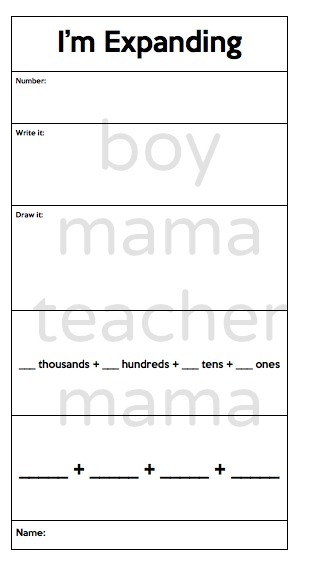 I am always in search of new and fun ways to help my students with place value. I have quite a collection here on the site and on Pinterest as well. I came across this place value practice idea from Smiling and Sunshine in Second Grade the other day and thought I would try it out with my first graders. Smiling and Sunshine used adorable monsters with their activity. I decided to make it our own by using Pugs instead. I am a Pug owner and a huge Pug fan. Most of my classroom decor is Pug themed so my students leave first grade as Pug fans as well. Anytime I throw a Pug story or idea at them they go at it full throttle. So here is my twist on Smiling and Sunshine’s Place Value Monsters. 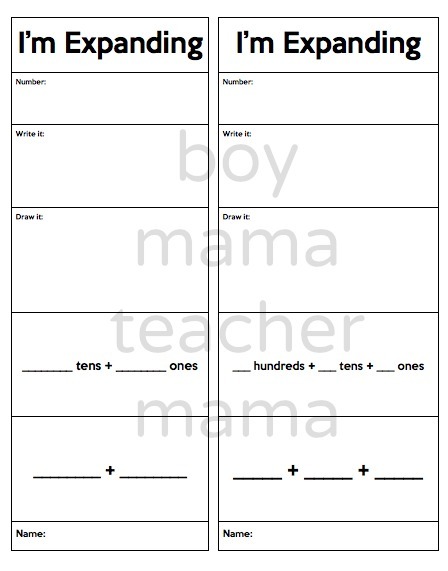 Chose which template(s) you want to use and copy enough for the group. Allow them to choose a number or choose one for them. 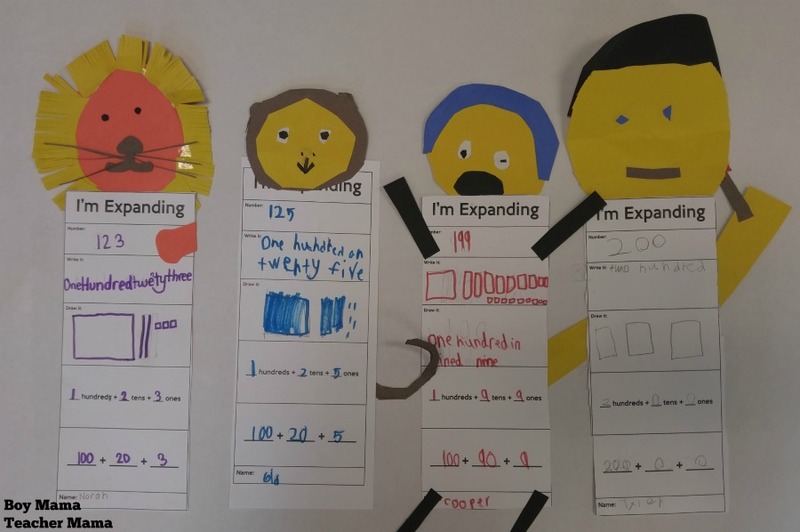 Have them complete the “I’m Expanding” paper. Add a decoration on top that suits your class! This year we did the same activity, but with circus performers to go with our unit. You can download our FREE templates here. 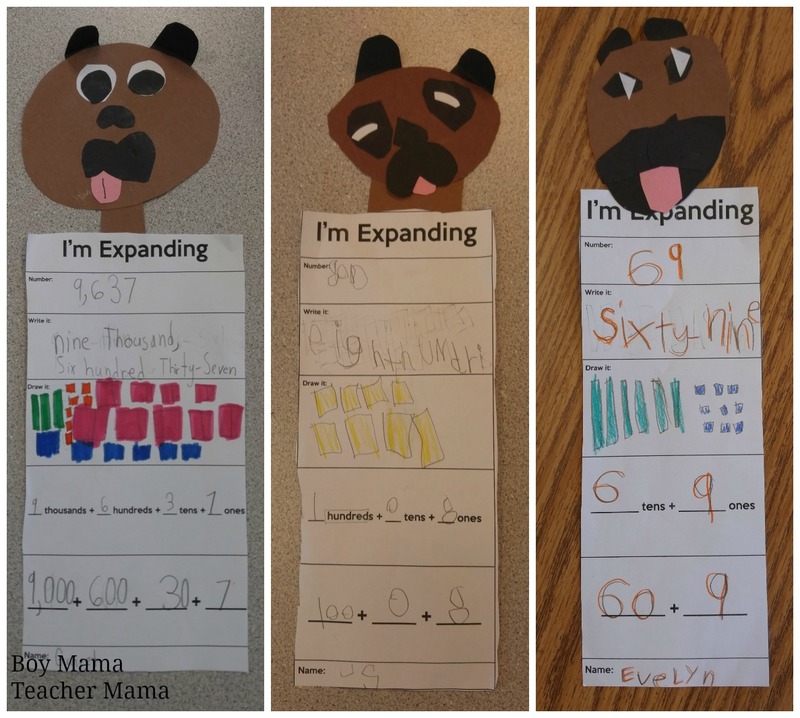 Representing NumbersThis is a set of 2 and 3 digit numbers that are represented as standard form, expanded form, base ten form, and place value form.